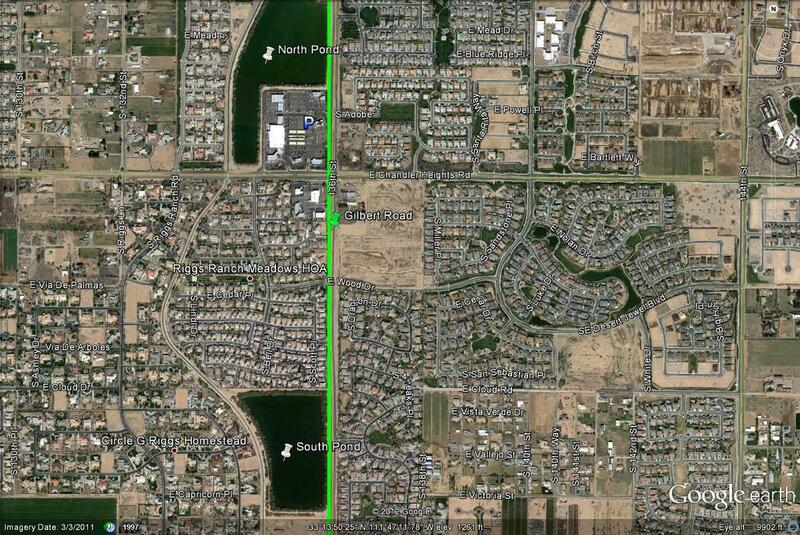 Map # 1: Getting to the ponds at the Gilbert and Chandler Heights Roads intersection. 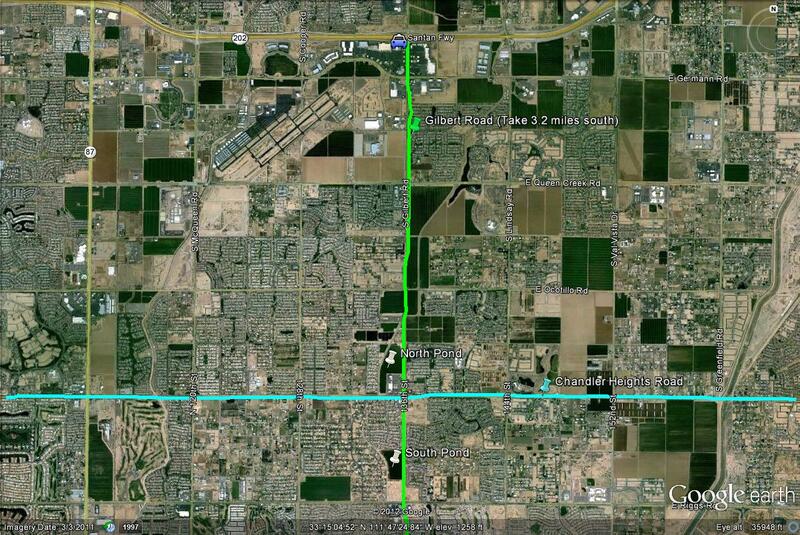 From the Loop 202 (Santan Freeway), take the Gilbert Road exit and then head south on Gilbert Road for 3.2 miles. Park in the shopping and business center on the northwest corner of the Gilbert and Chandler Heights Road intersection. If coming south on Gilbert Road, this will be on the west side of Gilbert, shortly after driving by the huge pond, and slightly north of Chandler Heights Road. Continue south on Gilbert Road just past Chandler Heights were the south pond is located. Map # 2: A closer overlook of the two ponds.